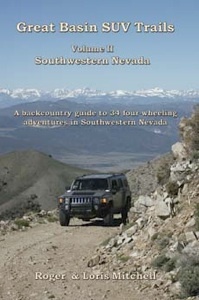 Great Basin SUV Trails, Volume II – Southwestern Nevada describes 34 backcountry outings in Southwestern Nevada. 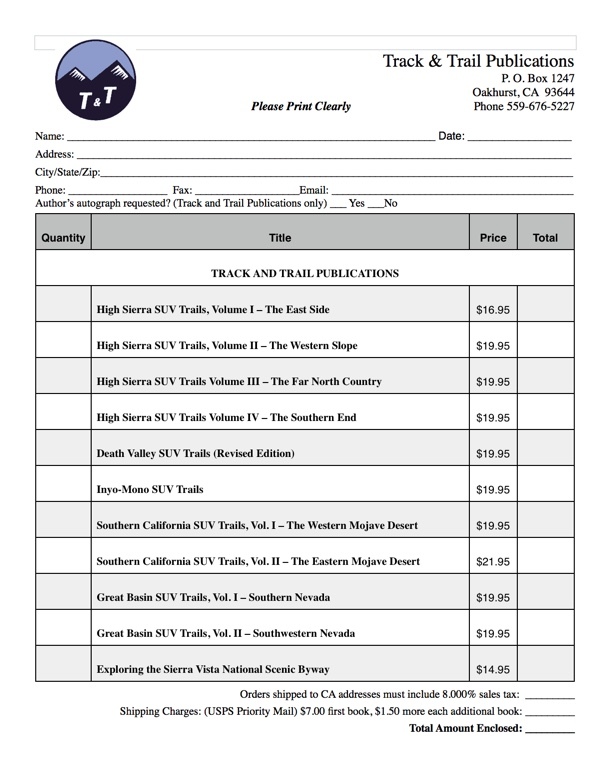 These rough road adventures will take the four-wheeler on excursions out of Beatty, Goldfield, Tonopah, Bishop, Mina and Hawthorne. As always, Roger and Loris Mitchell describe the flora, fauna, geology, and history to be encountered along the way. This 304-page book is well illustrated with many historic photographs, some of which were taken by Roger himself! Although not all of the roads the authors take you over require the use of four-wheel drive, all do require greater ground clearance than is afforded by the modern automobiles of today. All of the routes described should be within the capability of today’s SUVs. Each trail description includes a degree of difficulty rating, detailed directions, GPS coordinates and route maps.